The CMS issued a proposed rule on Thursday that would cut Affordable Care Act user fees and laid the groundwork to eliminate "silver-loading." The CMS also noted that the Trump administration supports a legislative solution that would appropriate funding for cost-sharing reduction payments, which the administration ended in 2017. It also supports ending the practice of "silver-loading." The agency asked stakeholders to comment on ways the federal government might address silver-loading in future rules no sooner than 2021. Silver-loading refers to when health insurers loaded premium increases into the popular silver-level exchange plans to make up for the loss of CSR payments. Loading premium surcharges onto silver plans boosted the size of the premium tax credits available to people with incomes below 400% of the federal poverty level. The proposals outlined in the 331-page notice are intended to further the Trump administration's goals of reducing the regulatory burden on health insurers and lowering premiums for consumers. The changes proposed apply to ACA exchange and individual market insurers, as well as insurers who participate in the small group, large group and self-funded group health plan markets. "Following the first-ever drop in premiums for plans sold on the federal exchange for 2019, in another first CMS is proposing to reduce the exchange user fee charged to insurers to fund exchange operations," CMS Administrator Seema Verma said in a statement. "Reducing this user fee will reduce the premium each consumer pays in 2020. Under President Trump's leadership, we're finally moving the exchange and the market in a new and positive direction." The exchange user fee would be lowered to 3% from 3.5% of premiums for qualified health plans sold on the federal exchange in 2020, while the rate would be lowered to 2.5% from 3.0% for plans sold on state-based exchanges. Beyond that, the CMS said it aims to lower drug spending by allowing individual, small group and large group insurers to adopt mid-year prescription drug formulary changes to encourage members to use lower-cost generic drugs. 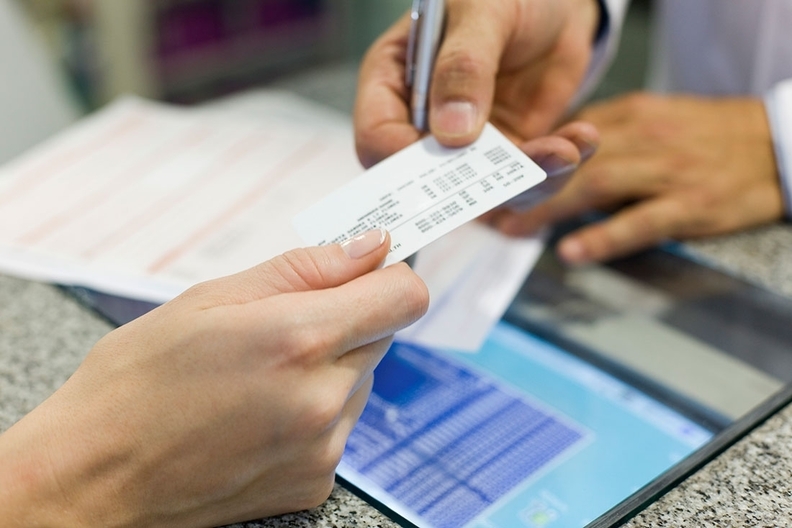 Under the proposal, an insurer would be able to add a generic drug to the formulary if one becomes available in the middle of the year and drop the brand-name equivalent from the formulary or move it to a different cost-sharing tier. Insurers would have to give plan members at least 60 days' notice. It would further allow insurers to not count cost-sharing toward a member's maximum out-of-pocket limit if a plan member selects a brand name drug when a generic alternative is available. Likewise, insurers would be able to exclude drug manufacturer coupons from counting toward the annual cost-sharing limit when a generic is available. Several other proposals aim to expand options for people buying health coverage. The CMS pitched allowing individuals or families who get their health insurance off-exchange to qualify for a special enrollment period if their household income decreases and they become eligible for a premium subsidy. Another proposal would require exchange insurers that offer plans covering abortion services to also offer otherwise identical coverage that omits abortion services. At the same time, the proposed rule would increase the annual cost-sharing limit by 3.8% to $8,200 from $7,900 in 2020 for self-only coverage, and $16,400 from $15,800 for family coverage. Notably, the CMS also discussed ways to increase healthcare cost transparency to improve people's ability to shop for services. The agency said it is considering whether to require health insurers to inform a plan member of their anticipated costs for certain services when requested within a certain timeframe, or require issuers to disclose anticipated costs for a set number of common coverage scenarios.